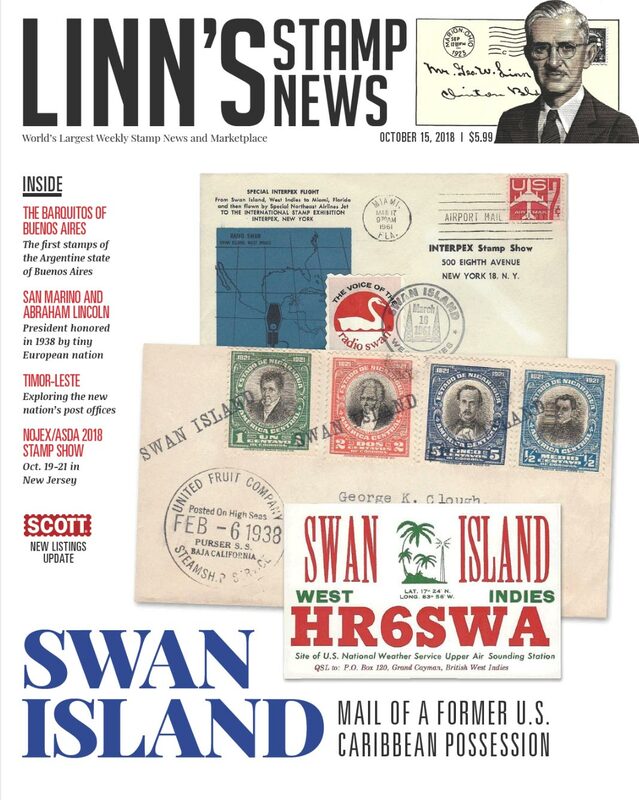 The cover of the October 15 issue of Linn's Stamp News caught my eye with its display of a QSL card from Swan Island (HR6SWA, US NWS Upper Air Sounding Station). 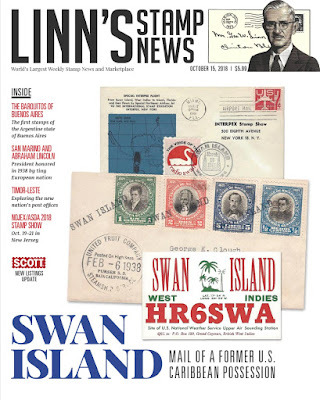 As it turns out, the magazine contains an extensive article about the history of Swan Island and its various inhabitants (including the RF variety). 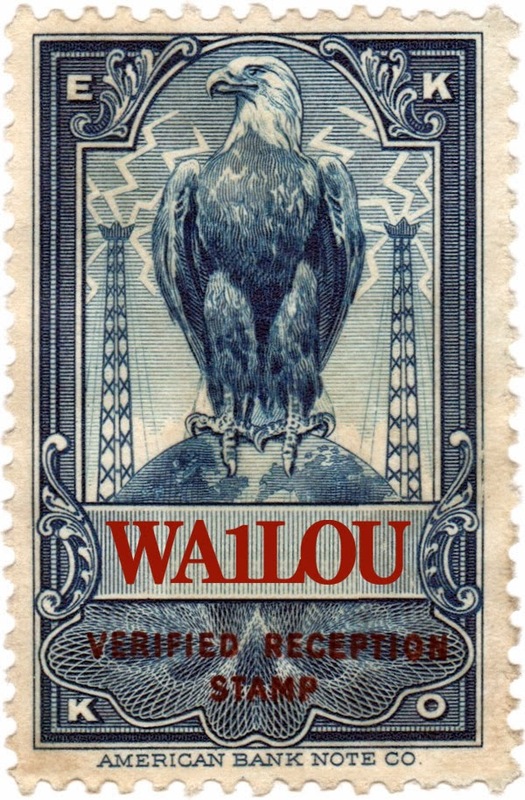 And I'm sure glad I kept the envelope that delivered my Radio Americas QSL card!